A recent question in EE about how to update a blob column using SSIS, so I decided to create a blog on it as it's a lot of steps and I'll need to send hi a lot of screen shots. You have file names such as 04-191-388086.jpg & 04-191-388087.jpg and the 388086 & 388087 corresponds to the ID column on that table and you need to update these 2 IDs. 1-String to hold the file name and path. 2-Int to hold the ID, An Expression of the FileNameLocation variable. 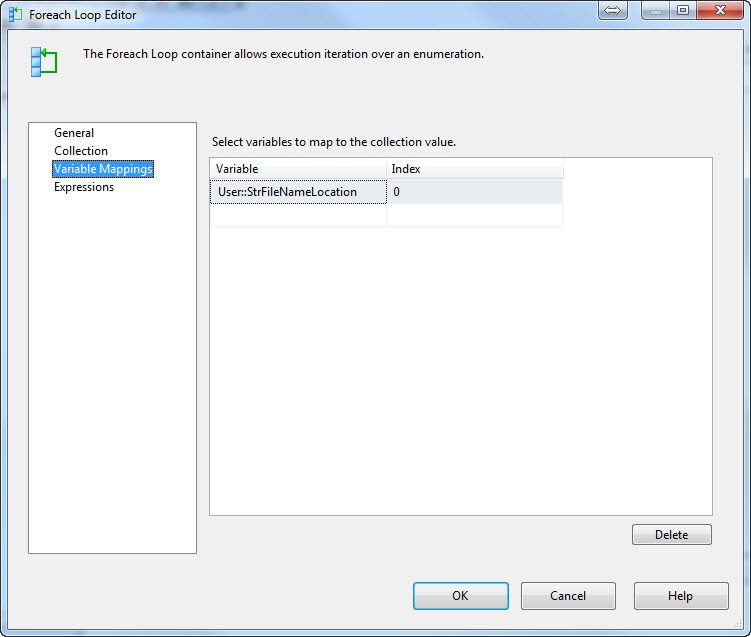 I've added a value to the FileNameLocation or SSIS will yell and gives you errors. 1-Foreach Loop Container to iterate over the files. 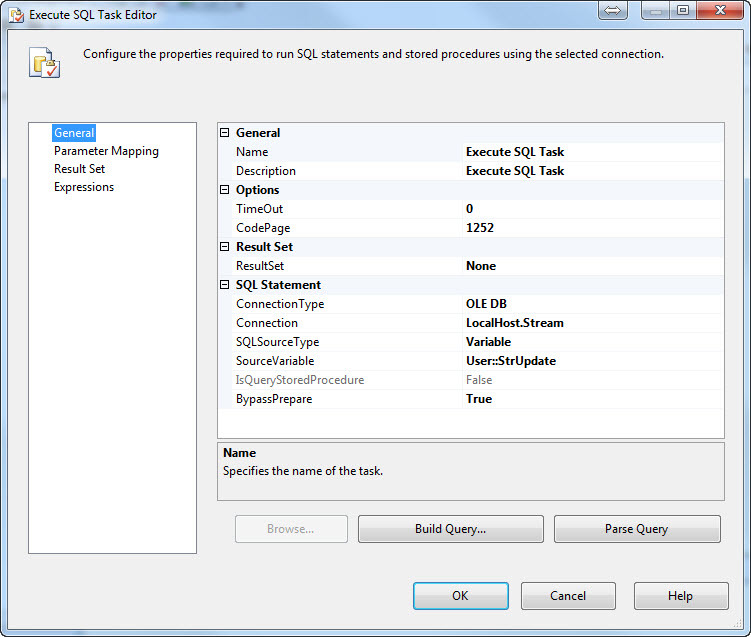 2-Execute SQL Task to run the update statement. 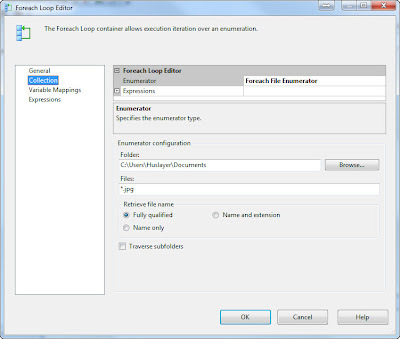 1-will configure the Foreach Loop Container to iterate over the folder and get me the file names into the STRING variable "FileNameLocation". 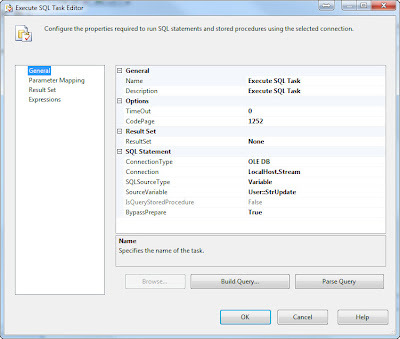 2-Configure the Execute SQL Task to use my database connection, and the Query variable to update the table. 3- Add that expression* on the ID variable, to shred the ID out of the file name. 4-Add that expression* on the StrUpdate variable, which will be used as our query. I think I will be all set after this. You've been a big help on EE and great blog too!! "Update Files set FilePath =( SELECT * FROM OPENROWSET (BULK '"+ @[User::StrFileNameLocation] +"', SINGLE_BLOB) FilePath) where ID ='" + @[User::IntID]+ "'"